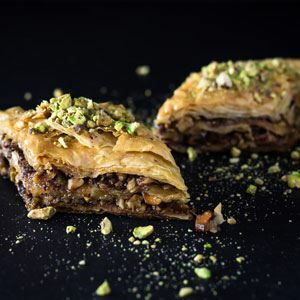 "Sweet spice blends are popular in the Middle Eastern kitchen and this Arabic five-spice, with its heady notes of aniseed and cinnamon, works wonderfully well with pineapple, especially when infused into a warming rum caramel. 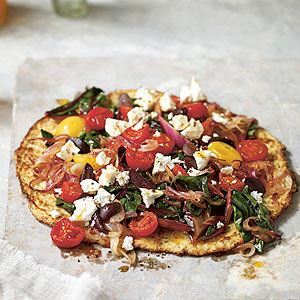 As ever when using spices, for maximum impact we'd encourage you to make this from fresh whole spices and grind them yourself. 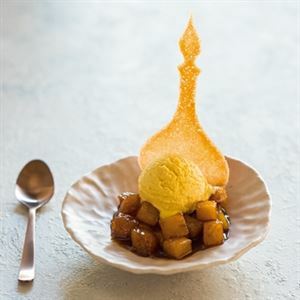 Although we usually serve this spiced pineapple compote with a simple ice cream – saffron is our favourite, but good-quality commercial vanilla would also be fine – it's surprisingly versatile and can also be used in sweet tarts and pastries or to accompany rum babas. For a slightly more elaborate ‘composed' dessert, we will often add a crunchy component, such as cardamom fritters, or the orange-cardamom wafers suggested here." 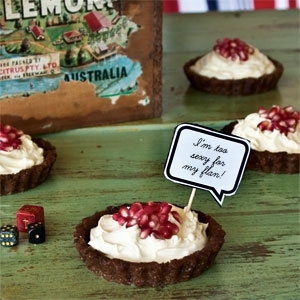 - Greg and Lucy Malouf. To make the Arabic five-spice, tip all the spices into a small frying pan and cook over a medium heat for around 2 minutes just until warm to the touch. Tip into a mortar with the sugar and grind everything together further, to achieve a fairly even, powdery consistency. Sieve to remove any fibrous bits and store in an airtight container. It will keep well for a couple of weeks before the potency of the flavour begins to fade. Combine the butter, sugar and honey in a small saucepan and cook over a medium heat, stirring occasionally, until the butter has melted and the sugar has dissolved. Increase the heat and cook for 8–10 minutes to a deep chestnut caramel. Add the rum, vanilla bean and seeds and five-spice powder, followed by the pineapple chunks. Cook over a high heat for 2–3 minutes, tossing frequently, until the pineapple is thoroughly coated in the glossy caramel, but still holding its shape. Don’t cook it for too long, as this mutes its intrinsic, sweet-sharp pineapple-y tang. Remove the pan from the heat. Fish out the vanilla bean and save it to perfume your sugar canister. Serve the hot pineapple and caramel sauce with saffron ice cream and orange-cardamom wafers, if you like. 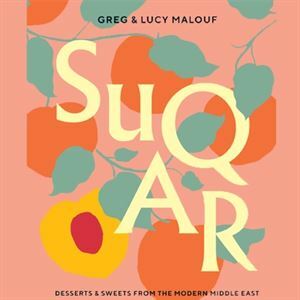 Credits: This is an edited extract from SUQAR by Greg & Lucy Malouf published by Hardie Grant Books RRP $65 and is available in stores nationally. Photo Credits: © Alan Benson.